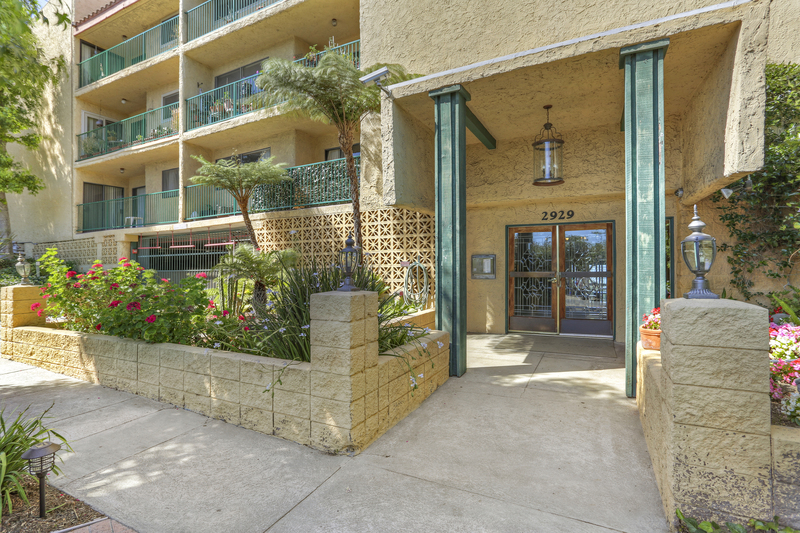 Just perfect for a 1st-time buyer or someone seeking a pied-~-terre in one of the best parts of Silver Lake, now comes this wonderful and serene ground floor unit with open floor plan, new paint, new light fixtures and new bamboo flooring throughout! Numerous features include spacious living room with gas fireplace and sliding doors opening to private patio, light and bright eat-in kitchen, charming dining area, large bedroom with walk-in closet, and generously sized bathroom with separate tub & shower and dual sink vanity. All this plus central HVAC, a 2nd walk-in closet, an abundance of storage, gated garage space, pool, gym and sauna in a secured building. You’ll be steps away from Silverlake walking path, Blair’s, Little Pine, Broome Street, Trader Joe’s, Whole Foods 365, Silver Lake Wine, Gelson’s and much more! Situated in the highly coveted Ivanhoe School District. A truly special gem!